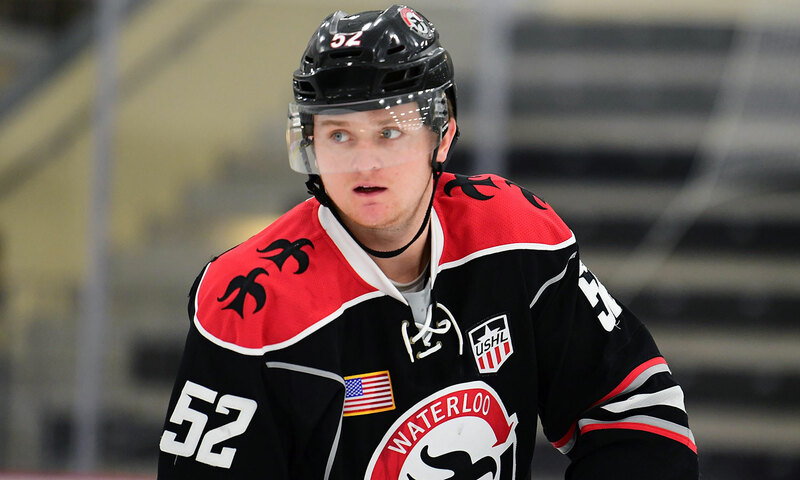 Veteran Waterloo Black Hawks defenseman Hank Sorensen has committed to Northern Michigan, the team announced Wednesday. When he arrives in Marquette, MI next fall, Sorensen will join three other Waterloo alumni who are on this season’s roster: junior defensemen Phil Beaulieu and Ben Newhouse along with freshman forward Garrett Klee. The Wildcats coaching staff also includes a former Hawks defenseman, Rob Lehtinen. Sorensen played his 100th United States Hockey League regular season game Friday when Waterloo visited the Sioux Falls Stampede, celebrating with an assist. The next night against the Sioux City Musketeers, the 20-year-old notched a goal and an assist. Last season, Sorensen had a +7 plus-minus differential and 22 points (5G, 17A). Those numbers make him the Hawks’ top returning scorer from 2017-18. All totaled in regular season USHL competition, Sorensen has 11 goals and 30 assists during his 101 appearances. He is now one of 14 current Black Hawks with a college commitment.